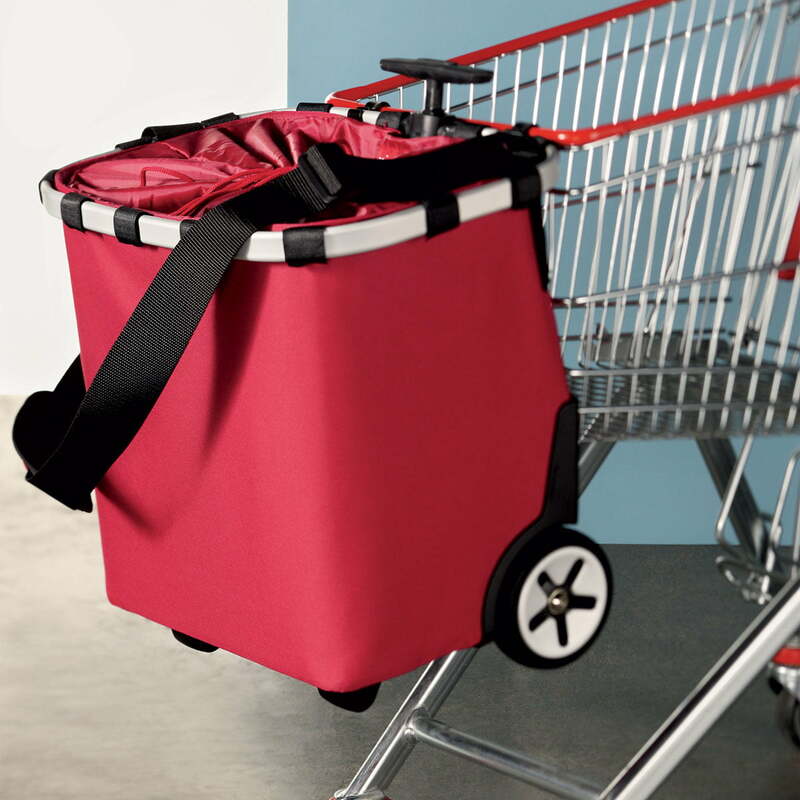 It has enough capacity for a large shopping tour, but it is still only as large as as to comfortably hang it on your shoulders – ideal when there are many people in public places such as trains and busses. Thereby the carrying strap comes into action and the handle disapears in its telescope housing. 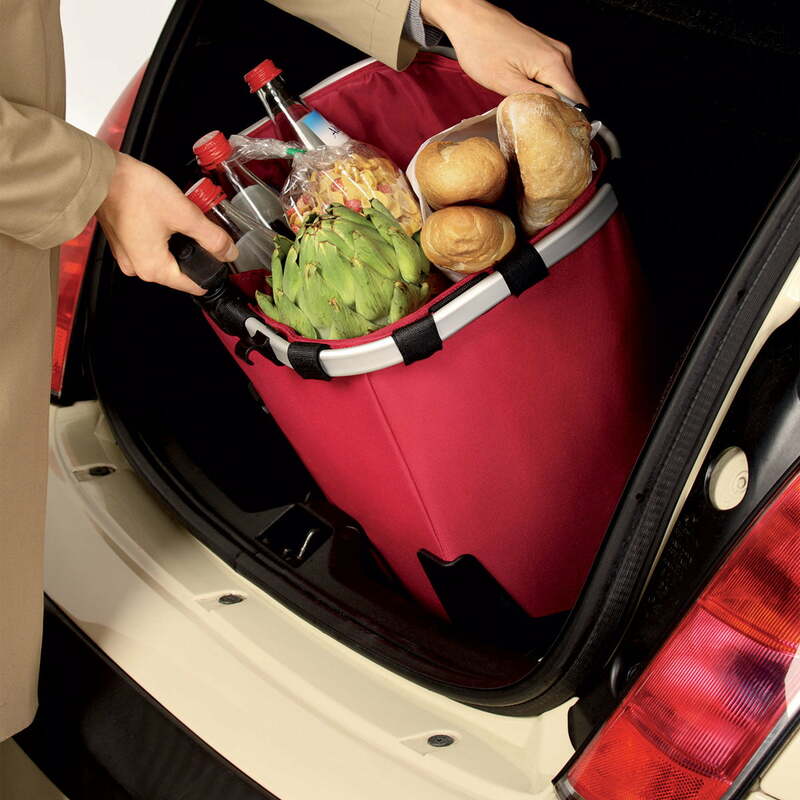 Thanks to its size, the carrycruiser from reisenthel is also a good company as permanent passenger in the car to be at hand at all times for all kinds of shopping. 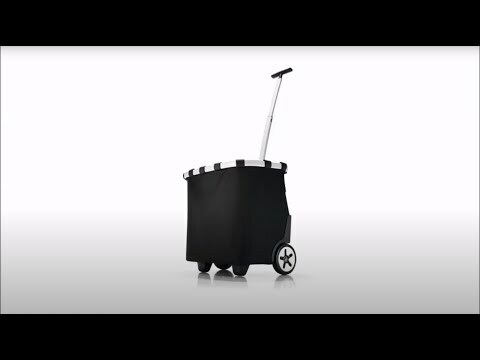 The carry cruiser is easy to pull and thanks to the extendable grip, it’s easy to adjust to your individual body height. 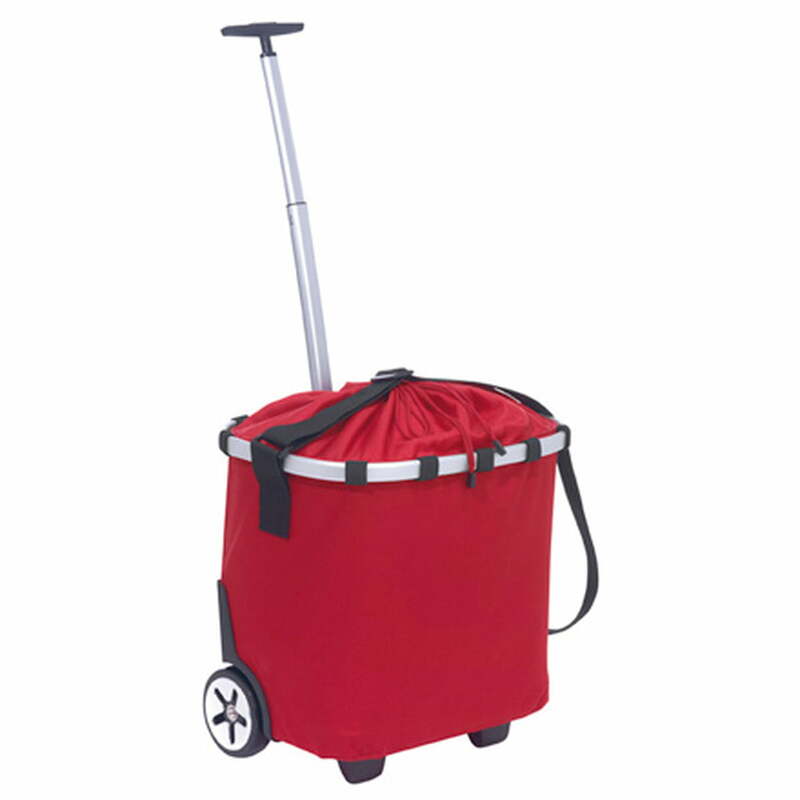 The basket can be detached and the padded grip helps to lift the carrier easily up the stairs. Further the trolley has a generous opening for simple packing and unpacking.